Hello readers! I have a new indie brand to show you! 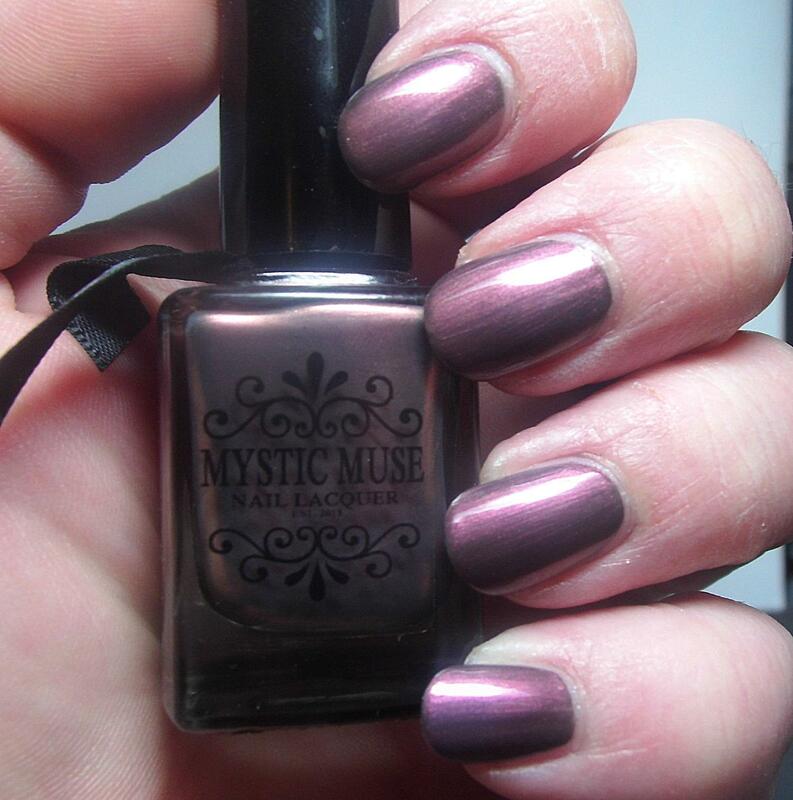 Mystic Muse is a new brand that recently debuted. 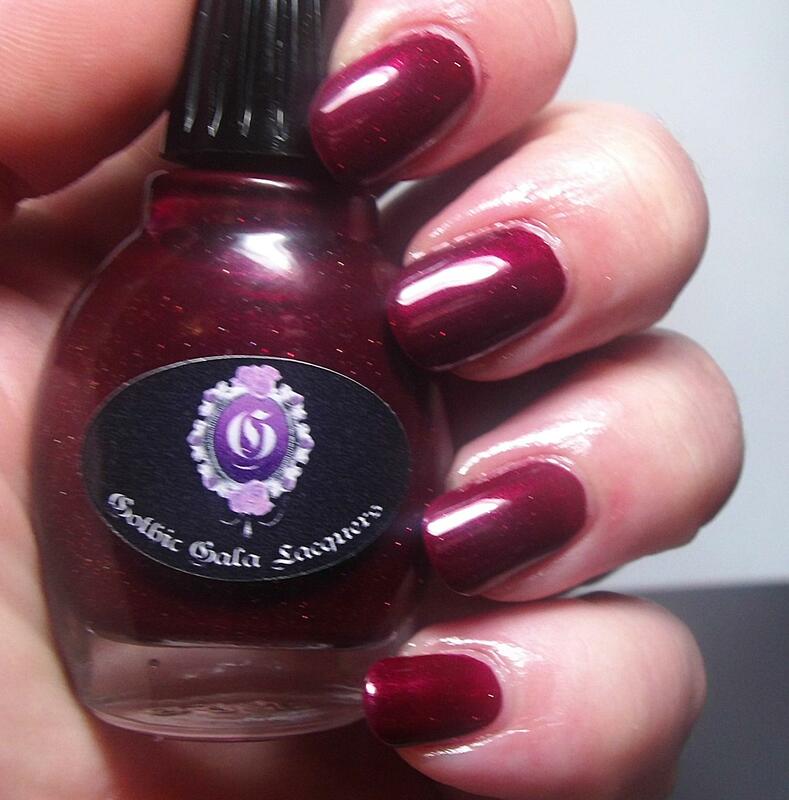 They are really focused on offering sophisticated, classic style polishes that will become staples in collections everywhere. 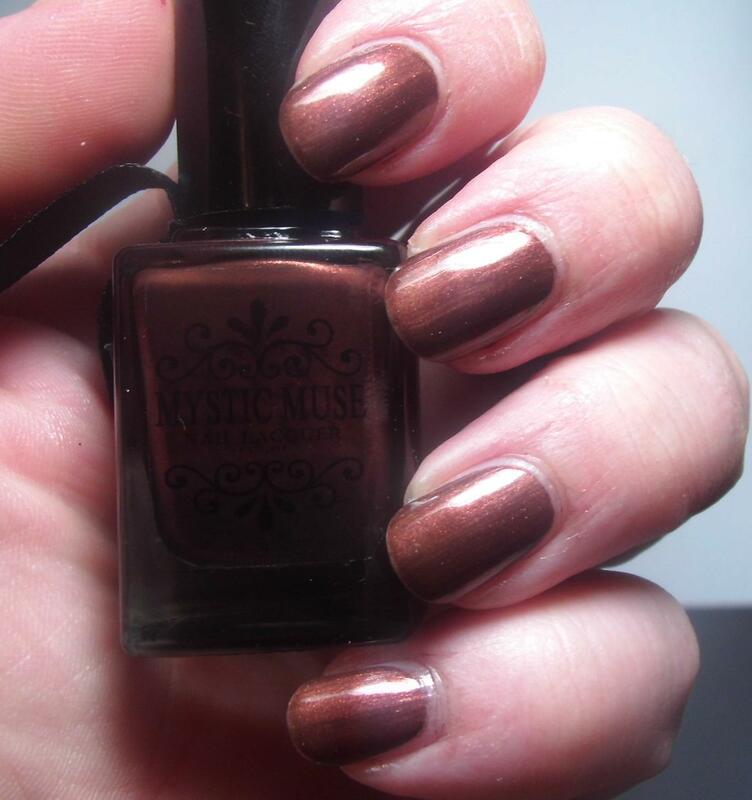 Mystic Muse is also gearing up to become the brand for luxury indies. I received the Autumn Reflections Collection and their Crystal Clear Topcoat to try out and I’m going to share them with you naturally! 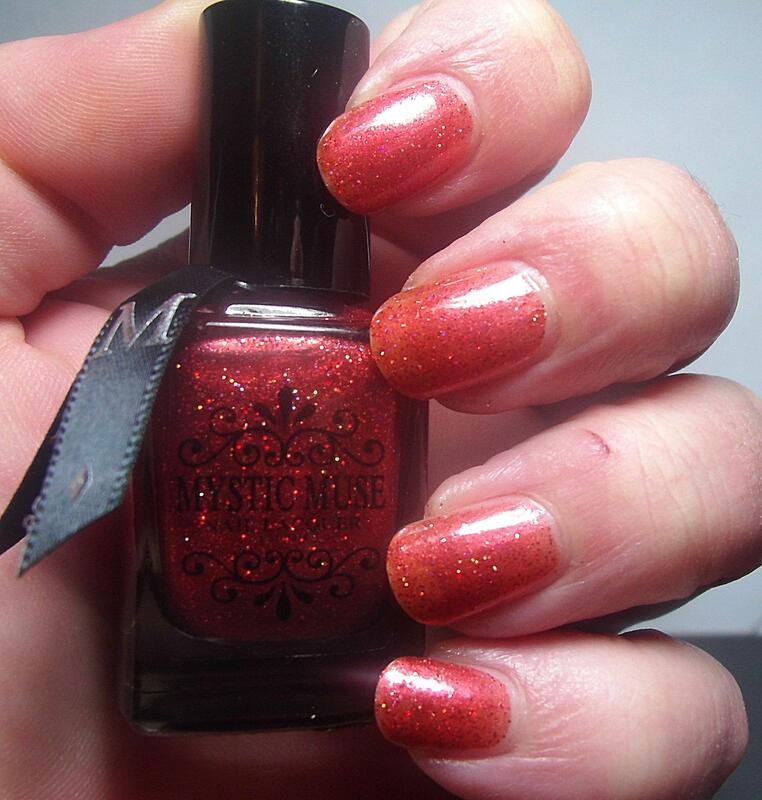 Autumn Reflection is a shimmery orange jelly packed with red metallic and holographic microglitter. 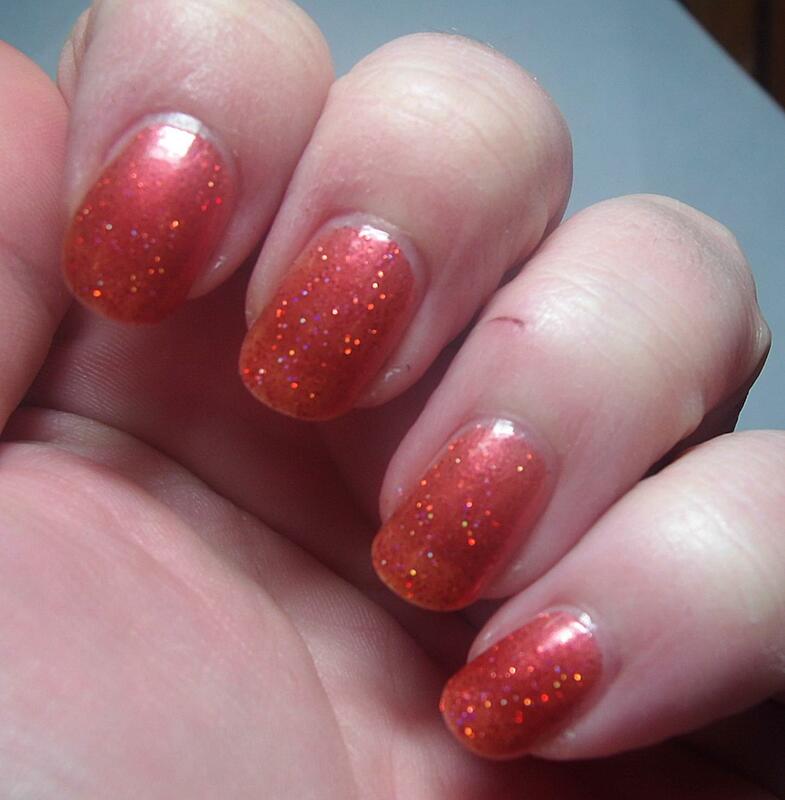 I love that this isn’t just a jelly with microglitter but it’s also shimmery. Gives it more interest and depth. 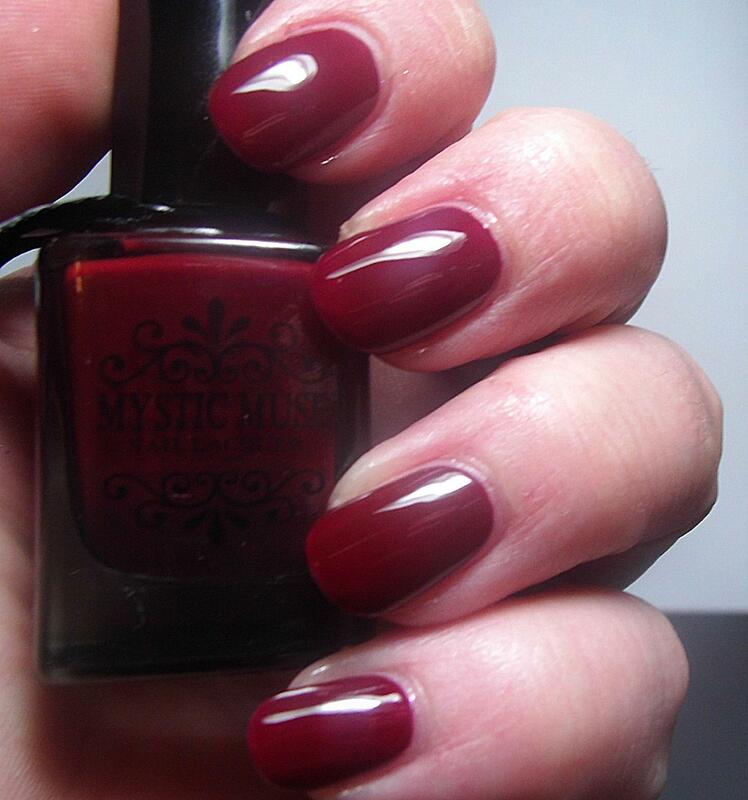 It is a perfect fall shade too! 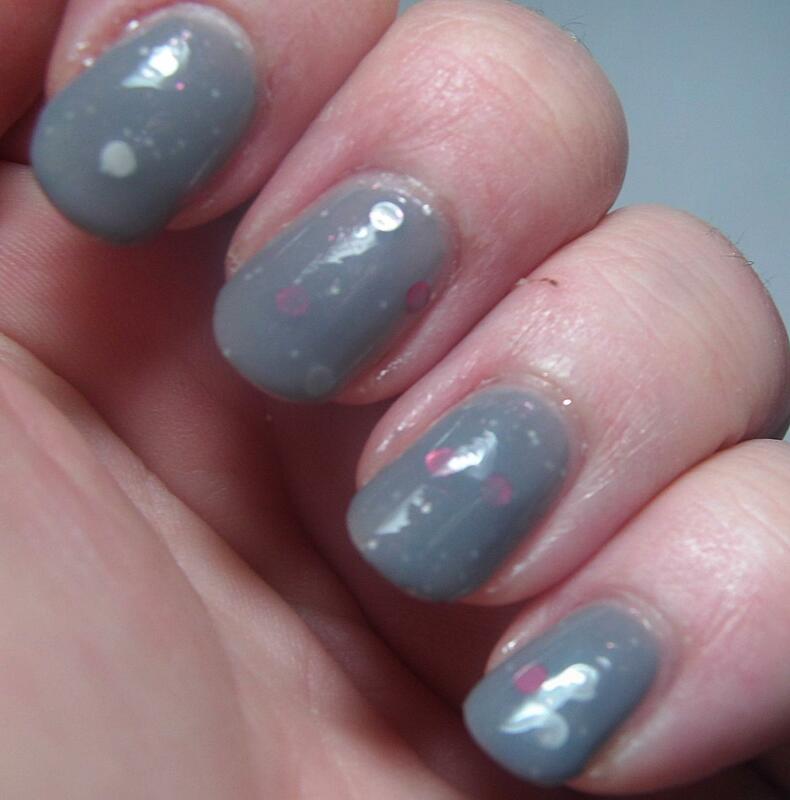 This is a jelly polish so it goes on very sheer but it does built up to opacity. The application was very nice, no dragging or balding. 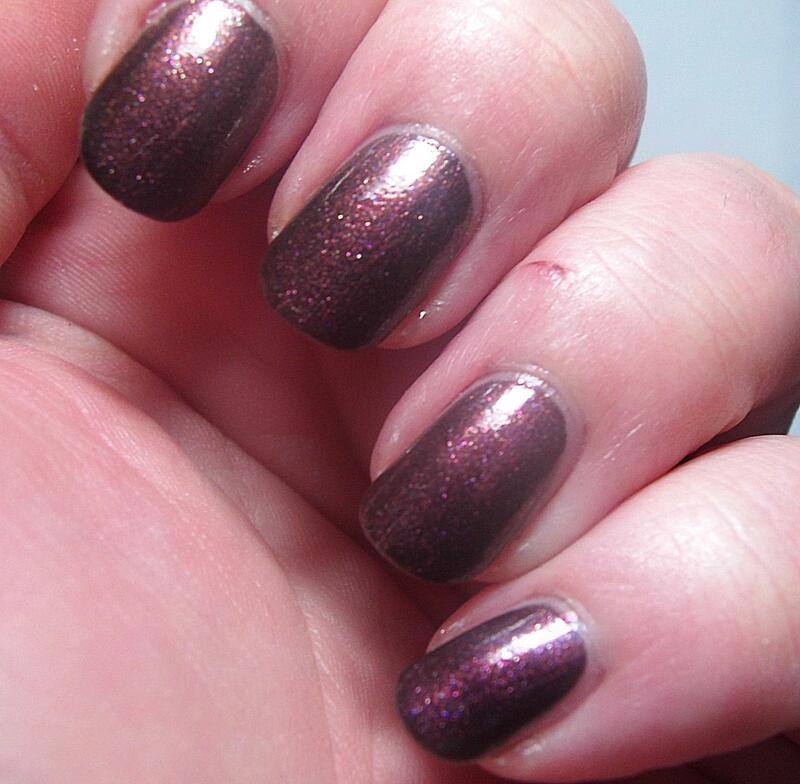 These pictures show three coats plus Mystic Muse Crystal Clear Topcoat. Now I called this a creme but it might be closer to call it a crelly. It’s a bit squishier than a standard creme. This one is a stunner. I have never been a fan of dark red cremes because they can sometimes be a nightmare to apply and clean up after so I steer clear normally but this one really has me digging on the color and finish! The other reason that I think that this might be better classified as a jelly is the application. It applies a bit sheer in the first coat but second coat is fully opaque. It was beautifully self-leveling and is really bar none one of the best creme/crelly polishes I’ve ever applied. Seriously, this is the dream creme and I find myself wishing I had like 20 other colors in this same formula! 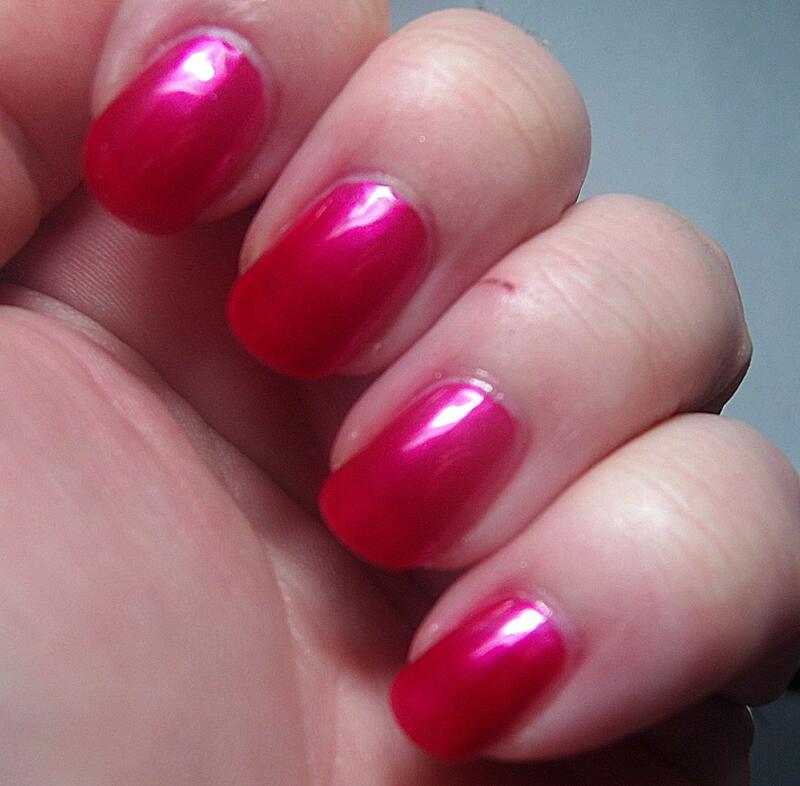 This is two coats plus topcoat. 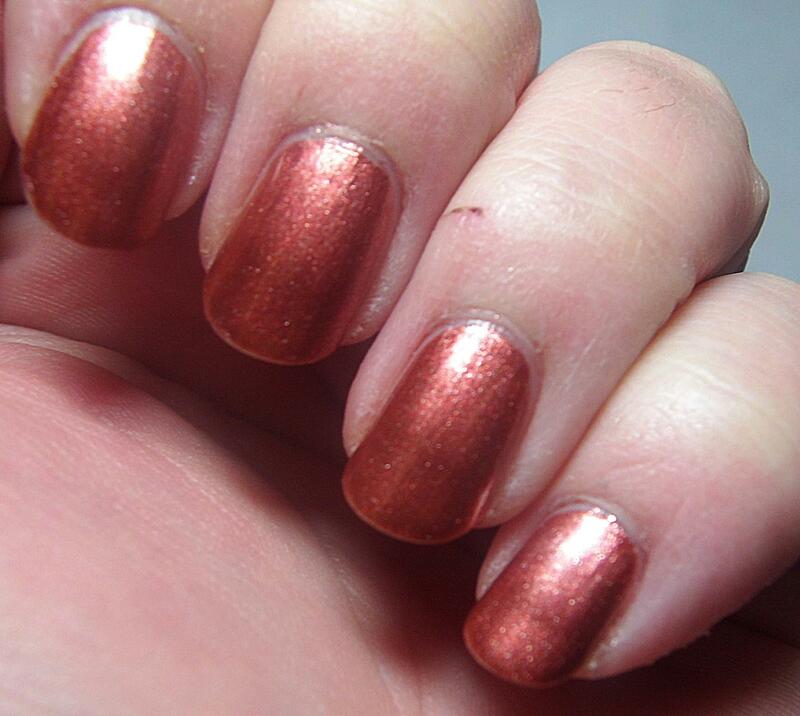 Fall Foliage is a perfect copper metallic foil polish with a golden microshimmer. It catches the light beautifully. 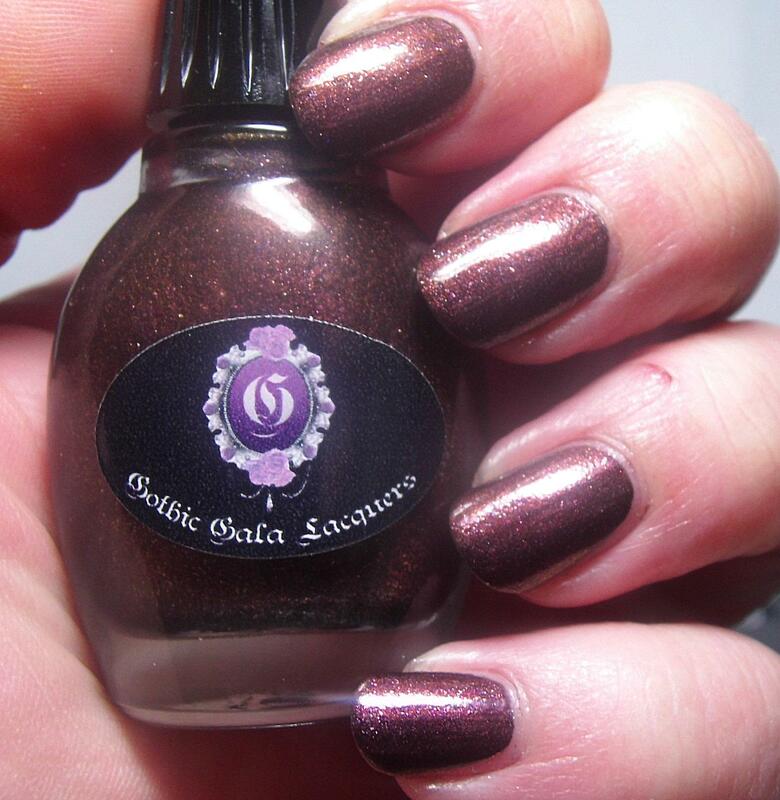 The golden shimmer gives it some added depth! The application of this was perfection. 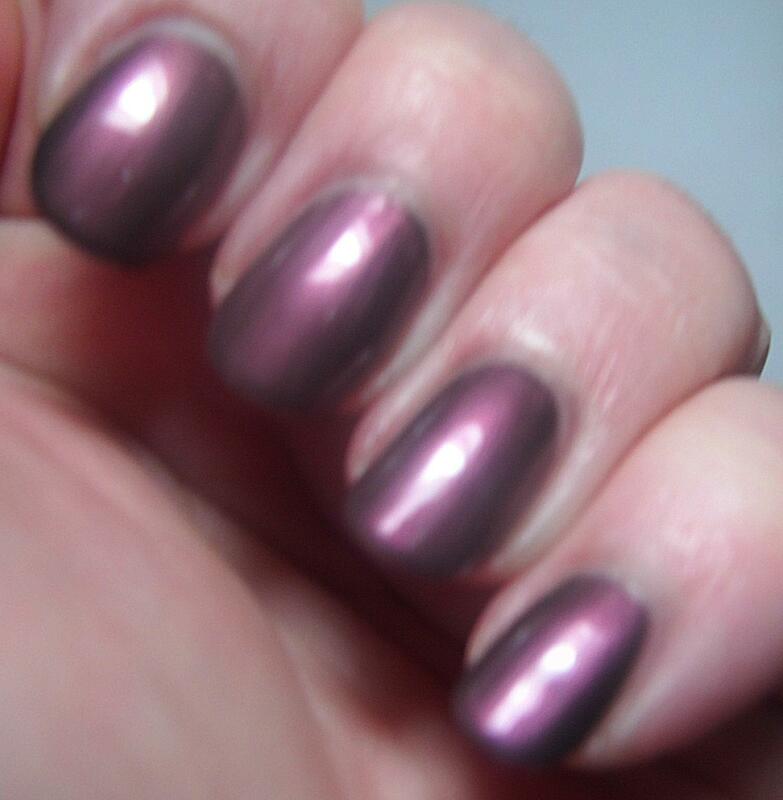 I usually dislike straight foil polishes because they can be too brushstrokey but this one had a perfect foil finish. Also of note, this polish stamps pretty well too! Pictures show two coats plus topcoat. This one is going to be the hardest to describe! It’s a grayish purpley (grurple? Can we make that a thing?) 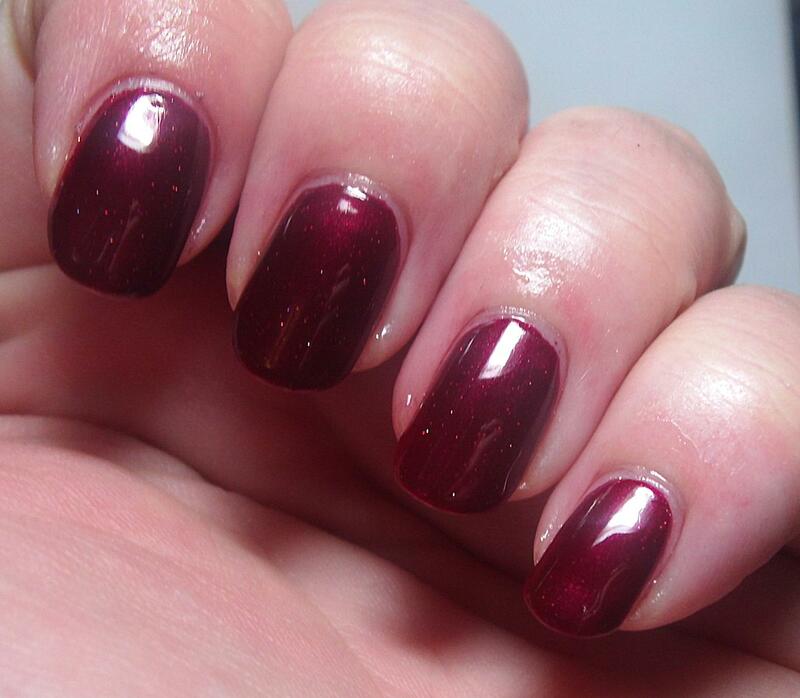 antique silvery base with a strong red shimmer. It’s absolutely lovely. I blurred this picture a bit to show you the shifty quality it has. It just seems to glow from within which I love. The application of this one does require a little bit of patience as the strong shimmer tries to show brushstrokes. It can be minimized and I haven’t used any other tricks than a patient hand to apply this. Otherwise the formula was just as delightful as the others, smooth application without any major issues. 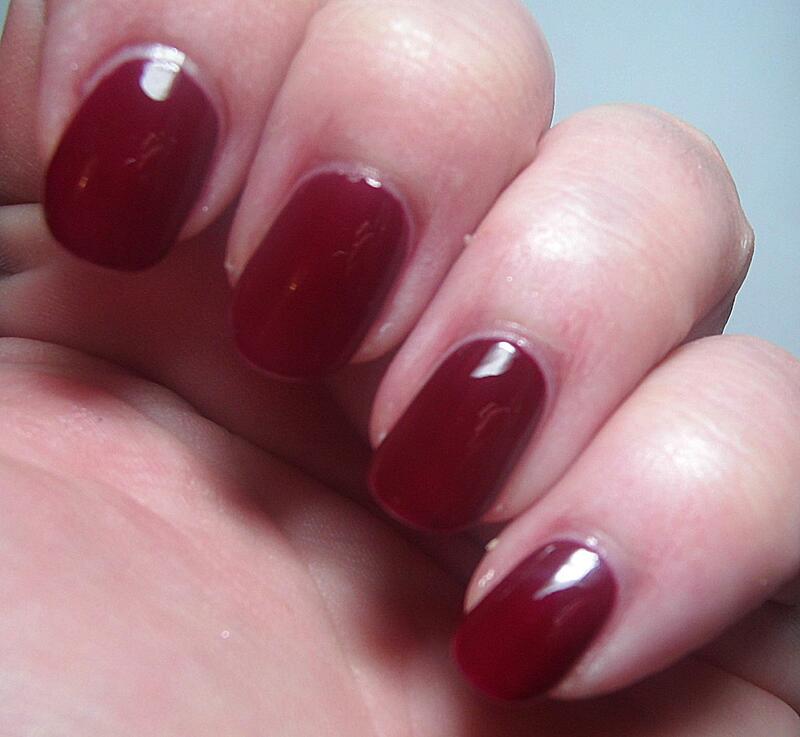 Pictures show two coats plus topcoat. 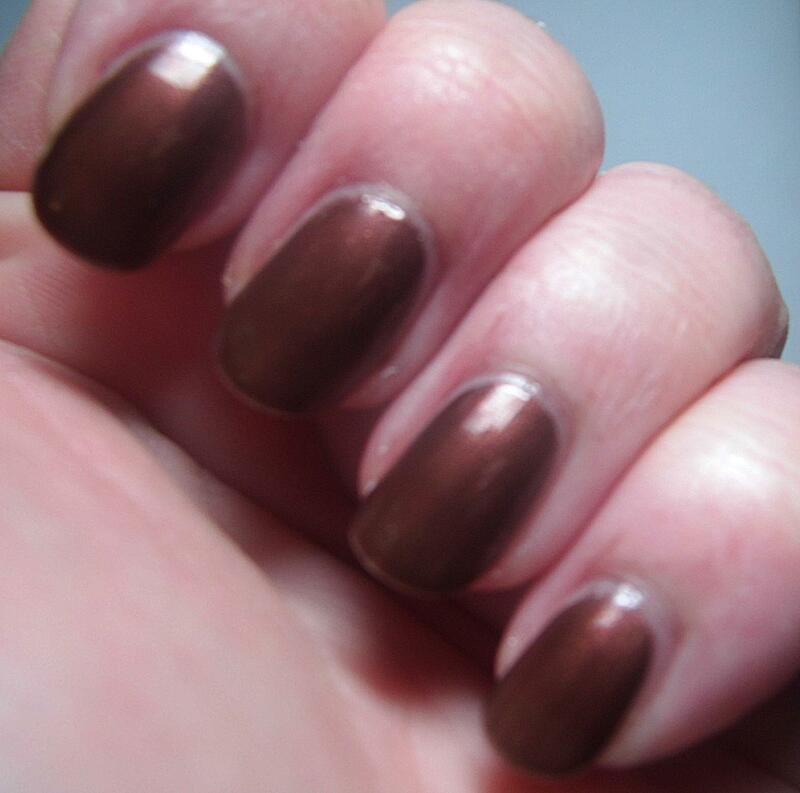 Chestnut is the deeper darker sister to Fall Foliage. 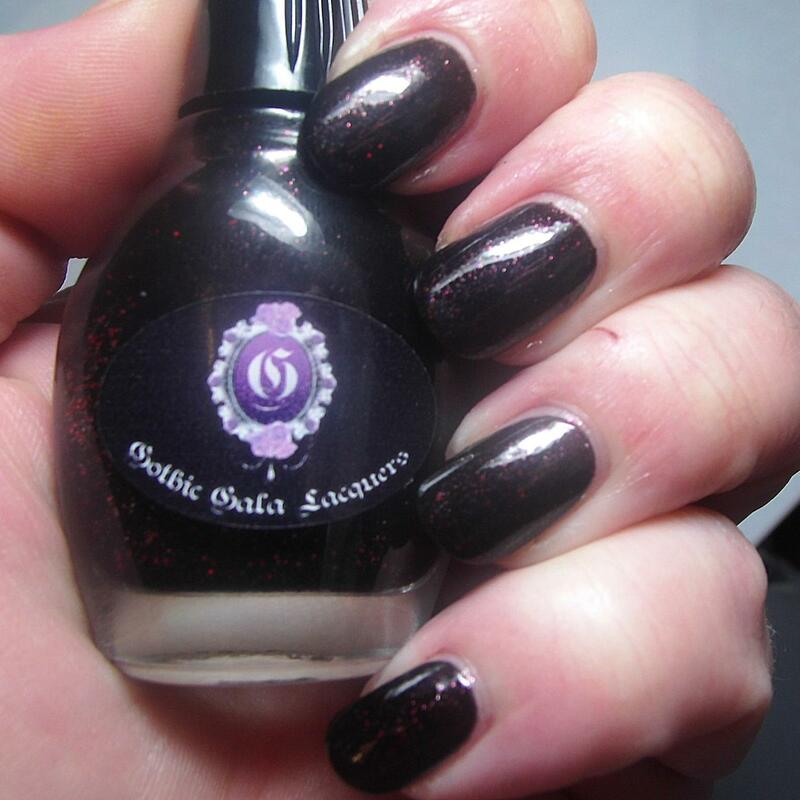 It’s a deep brown metallic polish with red/orange undertones and a golden microshimmer. Again where there was a danger of falling flat the shimmer gives it added depth. This one had flawless formula and application. It looks truly gorgeous on. Another fun fact, this one stamps like a dream! I used it in a mani this week that I got so many compliments on! And then the heavens opened and I could hear choirs of angels singing in exultation. 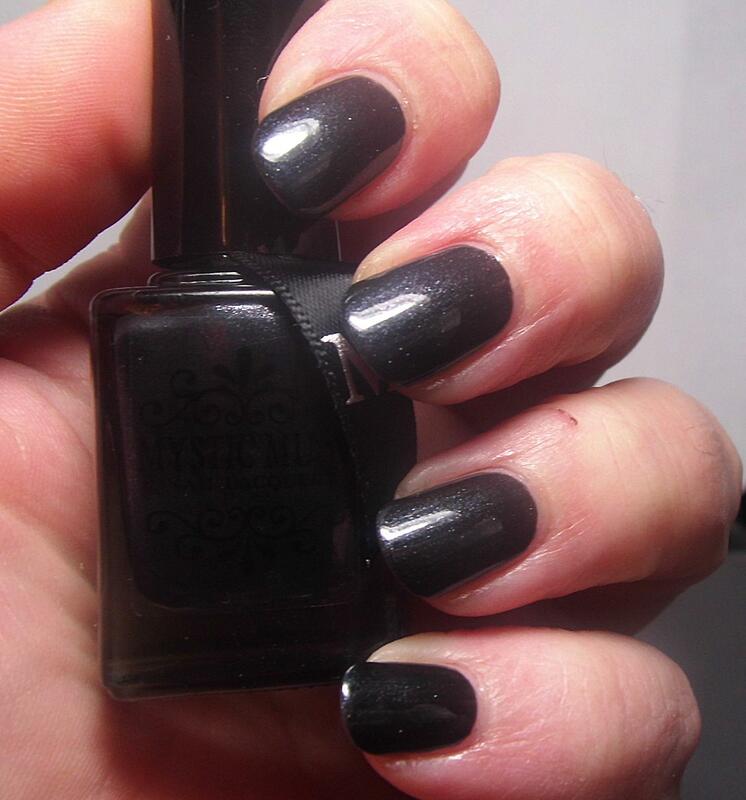 This is my holy grail super dark gray almost black polish! I have been searching for the perfect ALMOST black polish since black polishes are usually pretty harsh on me and don’t flatter my skin tone at all. 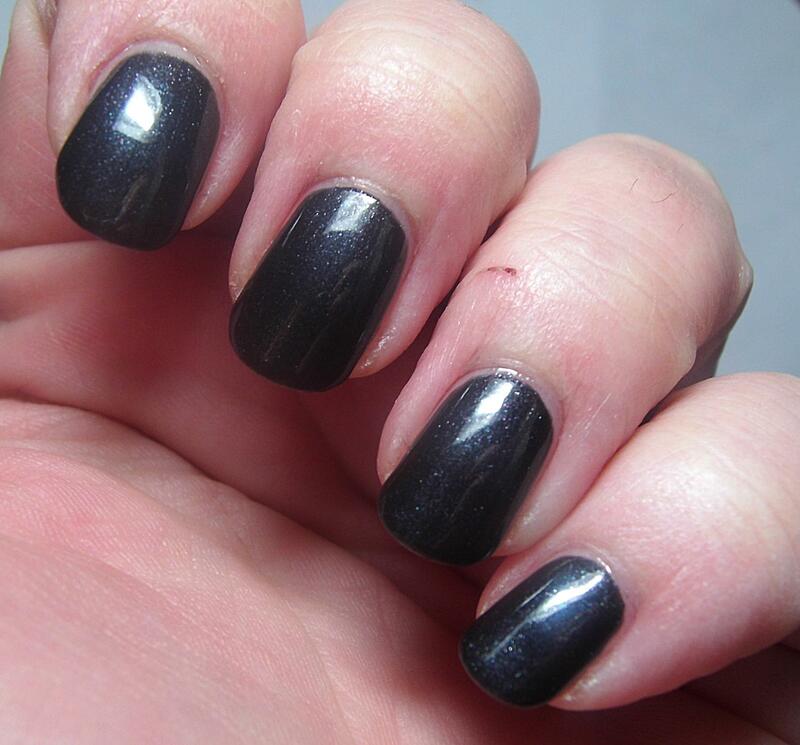 I want black polish for bases or for super chic manis but I have never found one that I loved until I met Night. Oh yes I’m going to reach for this one again and again and again! 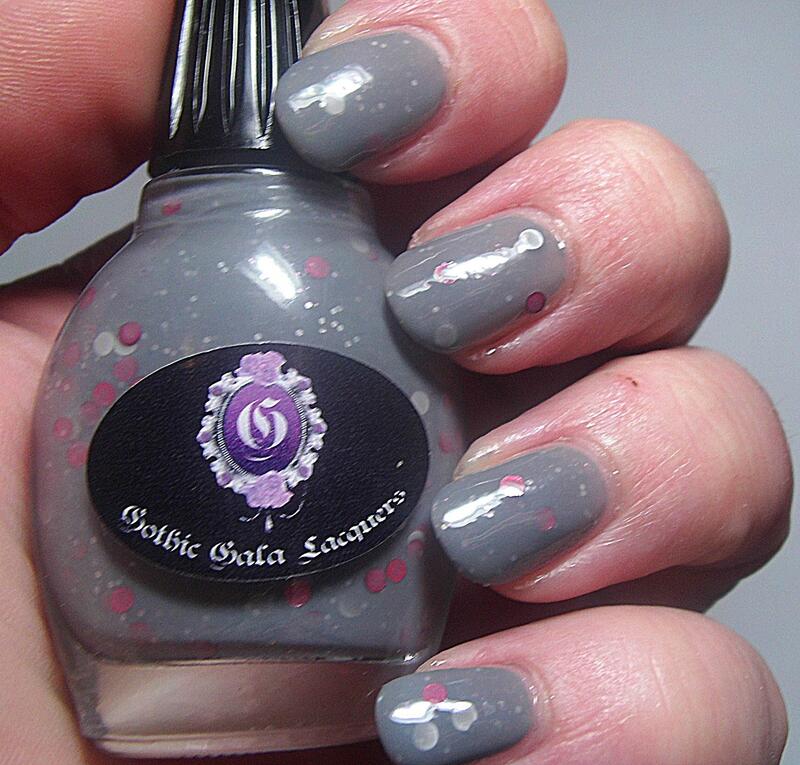 It’s a dark dark charcoal gray with silver, green, and purple microshimmers. You can’t really see anything but the effect of the shimmers unless you’re looking super close up but the shimmers just give it a sheen and richness. 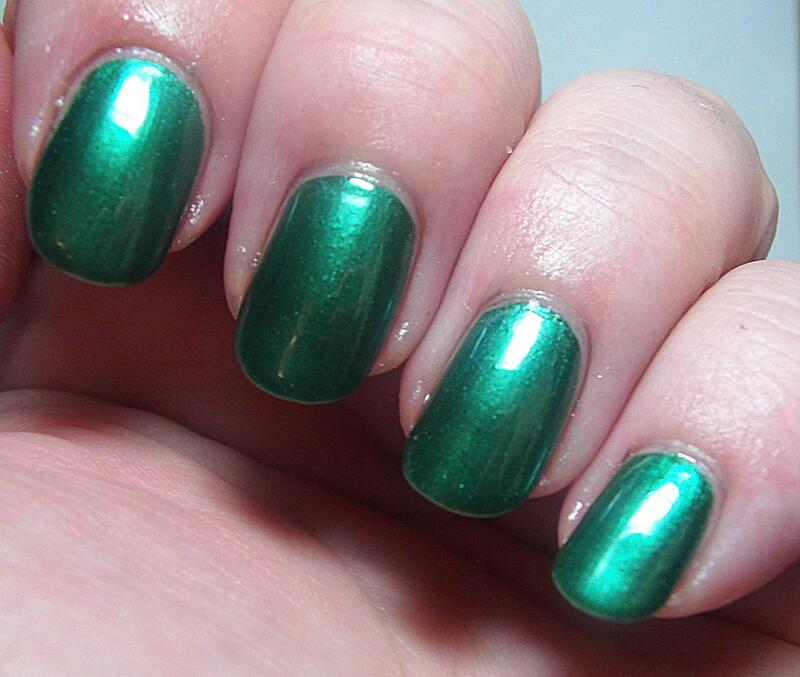 Love.everything.about.this.polish. ‘Nuff said. Seriously though, formula was awesome. Application was amazing. Two coats have perfect opacity and while it dries shiny on its own when you add the Crystal Clear Topcoat it’s like freshly polished glass! So since this is a new indie I’ll give my overall thoughts! I really thought that the collection was well coordinated, the names and colors fit the theme quite well. There are several different types of finishes which I found to be very pleasing as well. 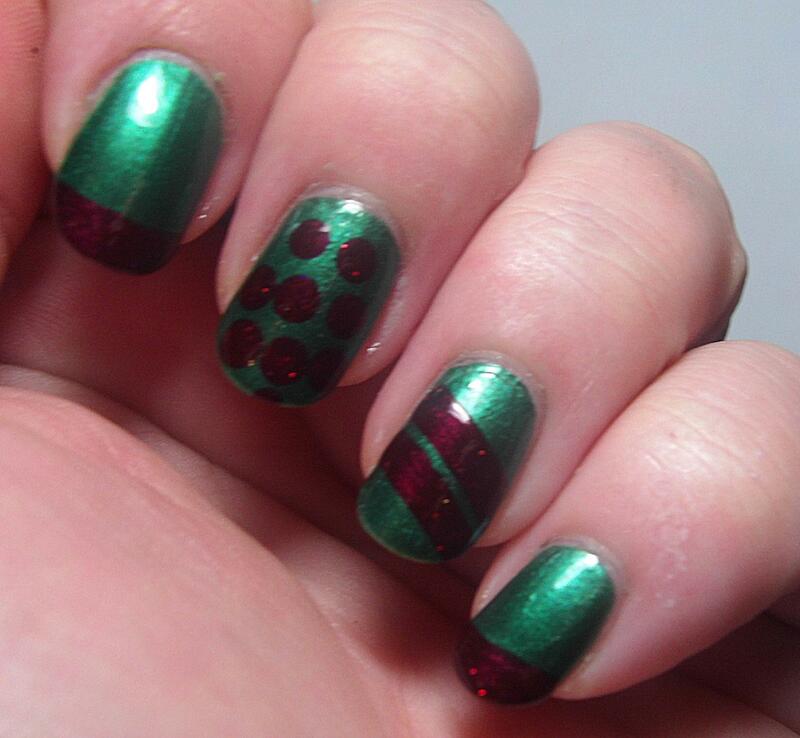 I will say that these are more traditional colors but the formula is fantastic. Absolutely none of these caused me any problem and I would definitely recommend them. 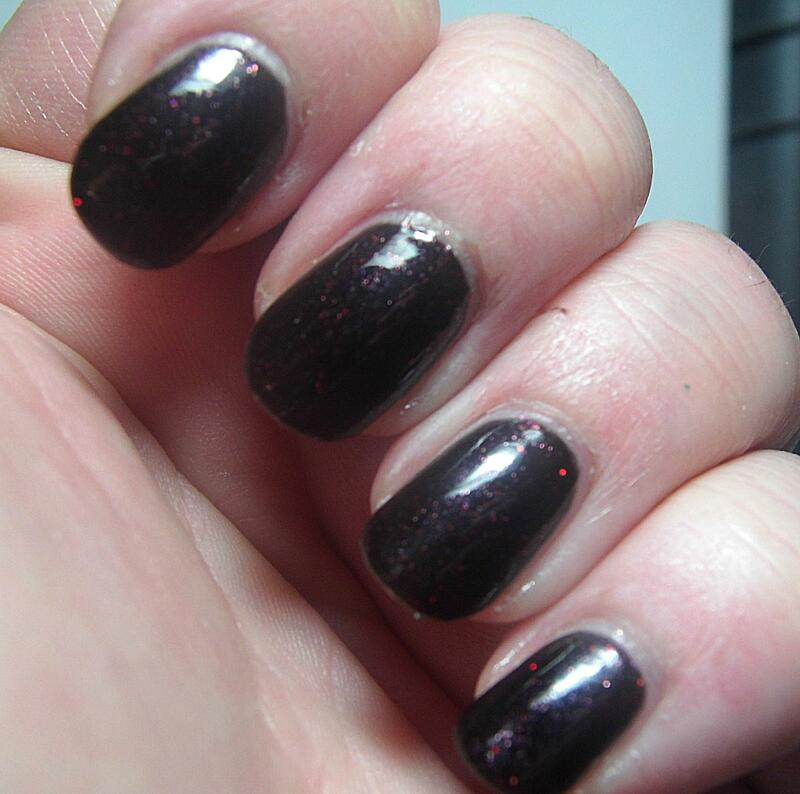 The topcoat dries super fast and super shiny and it didn’t smear nail art or shrink when I used it. It doesn’t really smooth glitters very well (I used it on a couple of different polishes to get an idea) but as a finishing high shine topcoat I’ll definitely grab it for holos or cremes because it really did dry lightning fast. 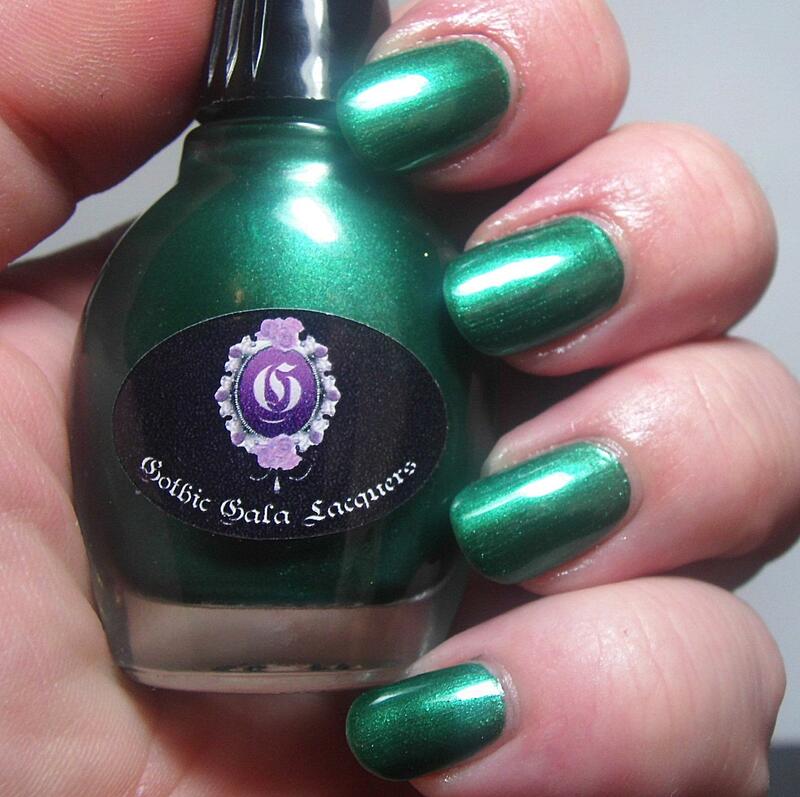 There is huge potential in this brand and they are aiming to fill a niche in luxury, high-end, indie polishes that have a sophisticated air. I find that the price point is a wee bit high but the formula alone makes me overlook that. Plus, in professional situations where I might not want your run of the mill polish but I can’t be over the top these will fit the bill perfectly. Also, they have the benefit of being vegan and cruelty free as well. 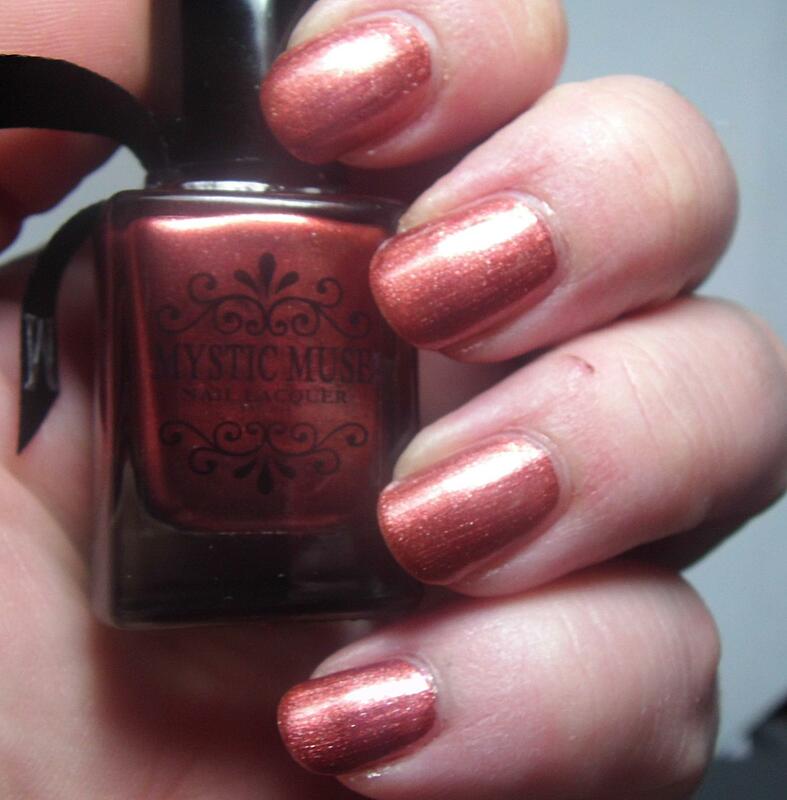 You can get Mystic Muse at their website. Don’t forget to follow them on Facebook and Instagram to keep up with all of the promotions and pretty pictures as well! 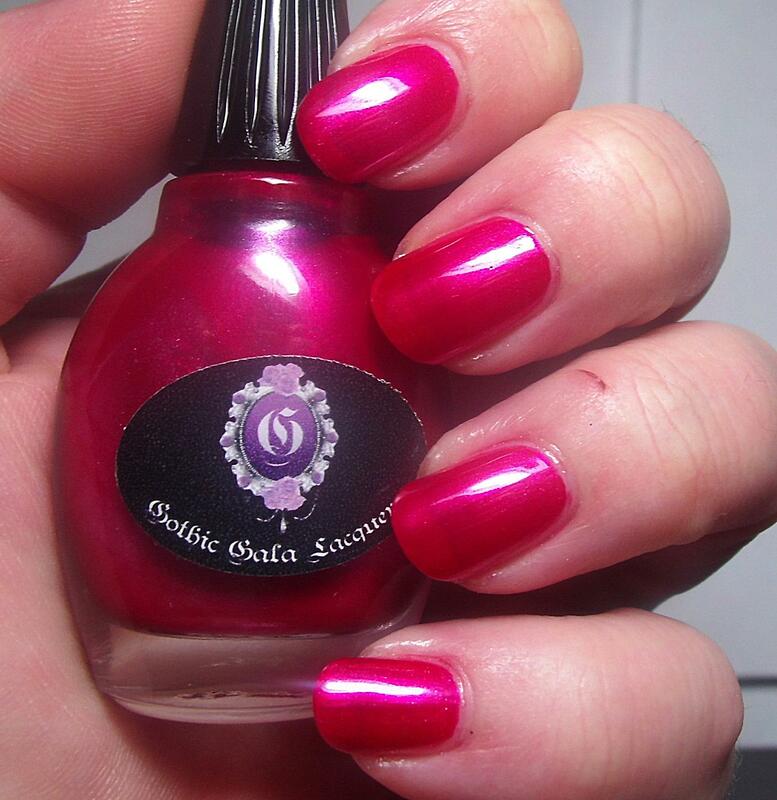 This entry was posted on November 8, 2014, in Indie Polish, Mystic Muse Nail Lacquer, New Indie Brands.